Home Blog Are Exogenous Ketones For You? Exogenous ketones… try saying that five times fast! This nutritional supplement was introduced to the world around 2014. Since then, it has gained massive popularity in ketogenic diets and those exploring the idea of 100% ketosis. There are a handful of methods you can use to incorporate exogenous ketones into your diet: including exogenous ketone base powder, MCT oil, and MCT oil powder. Exogenous ketones originated as a low-calorie supplement to achieve nutritional ketosis with athletes in mind. 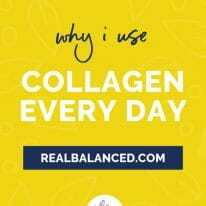 However, this product has transitioned from athletes being the majority of consumers, to those who follow the standard ketogenic diet and those struggling with health issues or weight-loss. 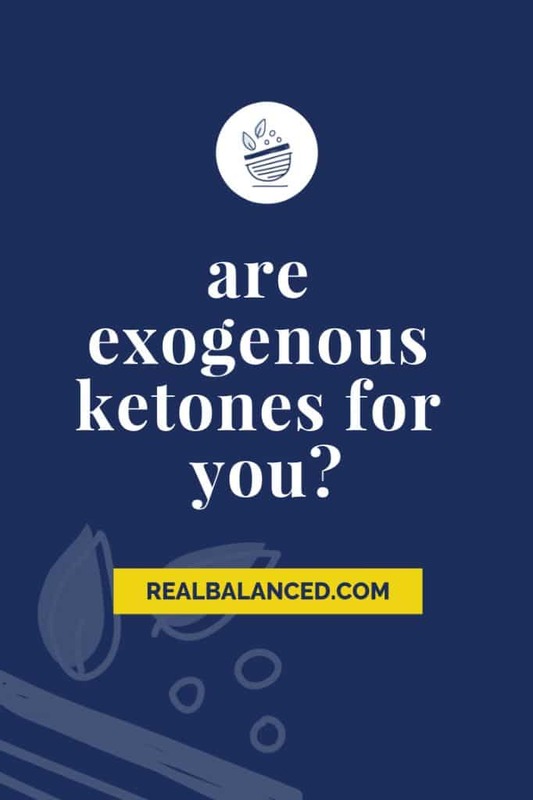 Use this informative guide to decide whether or not you should incorporate exogenous ketones into your diet and learn what they have done for me below! Before you understand supplemental exogenous ketones, you have to know what they’re supplementing! Beta-Hydroxybutyrate (BHB) is a ketone body made within the liver when glucose isn’t available. BHB is produced naturally during ketosis but often takes time, leaving the body feeling fatigued (sometimes known as the “keto flu”) due to the lack of energy being produced. This feeling of flu-like symptoms is where supplemental BHB while reaching or maintaining ketosis comes in. Exogenous ketones “are ketones that come from outside the body” (as opposed to endogenous ketones, which the body produces naturally). Exogenous ketones speed up the process of producing BHB, leaving you feeling less hungry, more energetic, and more mentally-focused. Taking exogenous ketones is a pretty new concept on the market, yet has steadily gained massive popularity and support in the keto community because of the awesome benefits it provides. Implementing this supplement is another step on the ladder of affirming your ketogenic diet. There are benefits that have been studied in relation to incorporating exogenous ketones into your diet, which you can view below! Exogenous ketones work to increase the ketone levels in your body. View the graphic below to get a better understanding! Long story short, the supplement is for WAY more than just fat loss. I can definitely attest to the many benefits of exogenous ketones since adding them into my diet. One of the many uses as mentioned above is for athletes. Everyone knows that before you workout, it’s best to stock up on carbs, but on a ketogenic diet, our fuel source comes primarily from fat, rather than carbohydrates. This is where supplementation is beneficial and kicks in almost instantaneously! Not an athlete? Don’t worry. Exogenous ketones can hold a place in your daily regimen too. When times get tough and you find yourself eating too many carbs, ketone supplementation helps you reach nutritional ketosis with little to no effort. Does this mean you should just carb-binge constantly then run to your canister of exogenous ketones? No. Definitely not. 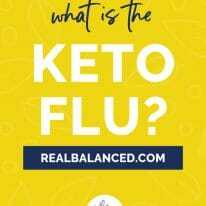 Exogenous ketones after a high-carb meal can, however, be extremely beneficial for skipping the dreaded keto flu along with the many other negative side effects of a high carb meal (lethargy, bloat, gastrointestinal distress… the list goes on and on!). WEIGHT LOSS: The supplement aids with fat loss, turning your body into a fat burning machine. It also suppresses your appetite, dropping your desire to eat as often and as much. ATHLETE PERFORMANCE OPTIMIZATION: “Exogenous ketones induce acute ketosis, lasting for several hours.” It is ideal for athletes to take before and during workouts, for it to kick in and do what it’s supposed to do! MENTAL CLARITY & FOCUS: Ketones improve energy levels for brain cells, increasing mental output and sharpening focus. HEALTH: Ketones help you get into ketosis for benefits from enhanced well-being, to disease prevention and longevity. There is also data to suggest that exogenous ketones are an effective anti-carcinogen. 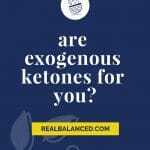 What brand of exogenous ketones do I use? I love Perfect Keto’s exogenous ketones! I have been using these religiously for almost two years and have no intention of stopping. First and foremost, I use exogenous ketones for the mental clarity they provide me. Additionally, I use them on days where I am extremely hungry, even after a large meal, and know I will continue to snack if I don’t supplement my diet with them. (As a note, please know that I never suggest to avoid your hunger cues. If you are hungry, eat; however, I know my body quite well and I know when it actually needs food versus when I am eating for comfort or due to stress). You can use code “REALBALANCED” on all of your Perfect Keto purchases for 15% off your order! How do you use the Perfect Keto Base Exogenous Ketones? Slowly, but surely is the way! Powdered forms of the the supplement make it easy to incorporate in pretty much everything. It is ideal to include in your morning smoothies, shakes, coffees, etc. I suggest using a blender bottle (I purchased mine on Amazon) or something similar so the powder easily incorporates with the liquid. To get optimal results, many recommend to take it on an empty stomach! Are there other options to supplement BHB besides the exogenous ketones base powder? 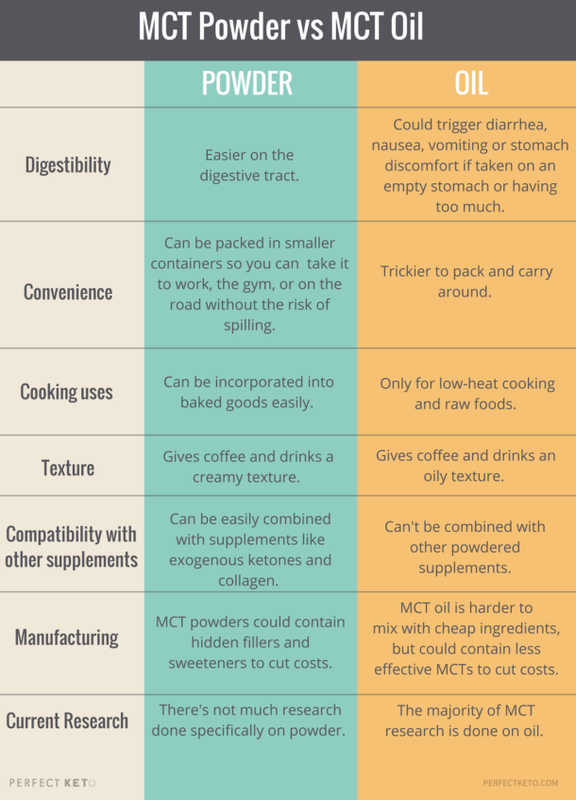 MCT (medium chain triglyceride) oil is used to boost ketone levels, but not quite as directly as the exogenous ketones base powder. MCTs must be broken down and made into a byproduct, which can then be used for energy. Like the exogenous ketones powder, you can put MCT oil and MCT oil powder into your coffee, tea, smoothies, or plain water! It also comes in a variety of flavors: chocolate, vanilla, salted caramel, or plain. 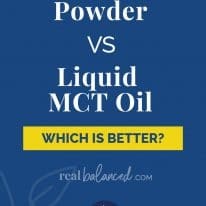 To see whether MCT oil or MCT powder is for you, check out the chart via Perfect Keto below! 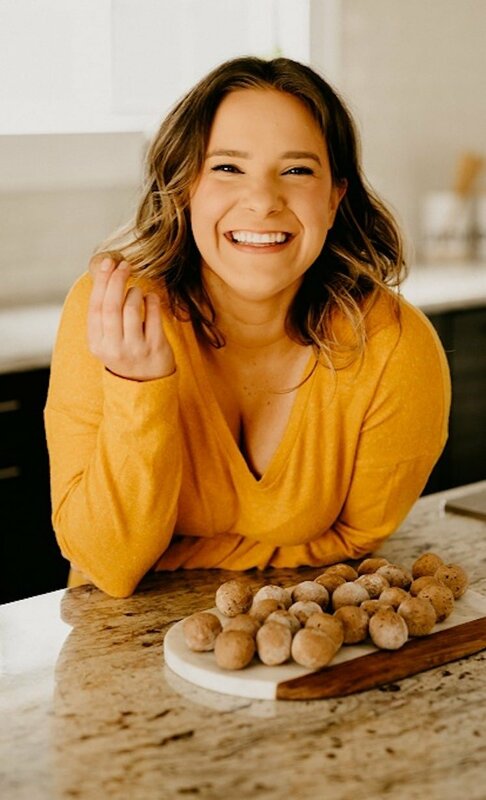 I 100% stand by Perfect Keto because of their transparency with their customers. They are 100% upfront about the ingredients in their products, and only choose natural options. They also break down into detail what their products can do for YOU, without any of the scientific mumbo-jumbo that no one can understand. The Perfect Keto Base is one of my favorites because of this! Plus, they use a blend of stevia and monk fruit sweetener to sweeten the base a bit, making it super yummy in everything you put it in. I use monk fruit sweetener on the daily, and to have it in my supplements is even better! I can keep my sweet tooth at bay, while still pursuing my health goals. Perfect Keto provides five very different flavors of Exogenous Ketone Base to satisfy your taste buds. Choose from chocolate (my personal favorite! ), peach, coffee, vanilla, and salted caramel; each one has an optimal liquid pairing for the best flavor. Try exogenous ketones for yourself at a discounted rate today! Perfect Keto uses stevia leaf powder not monk fruit. They do use stevia (thank you for pointing that out! ), but they do also use monk fruit sweetener. It’s a blend of the two.